Some sling them around their shoulders, others carry them under their arms. They bring the finishing touch to an outfit, while containing the day’s essentials. Convenient or adornment? Both. 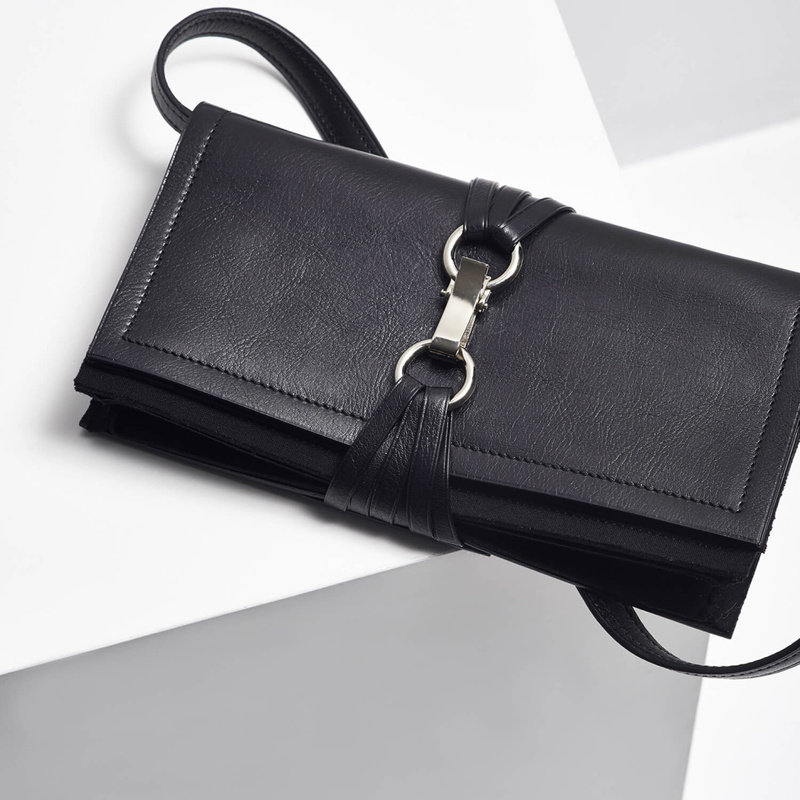 True to the spirit of her brand, Marie Saint Pierre offers a collection of handbags without compromise. They display a subtle, clever originality. 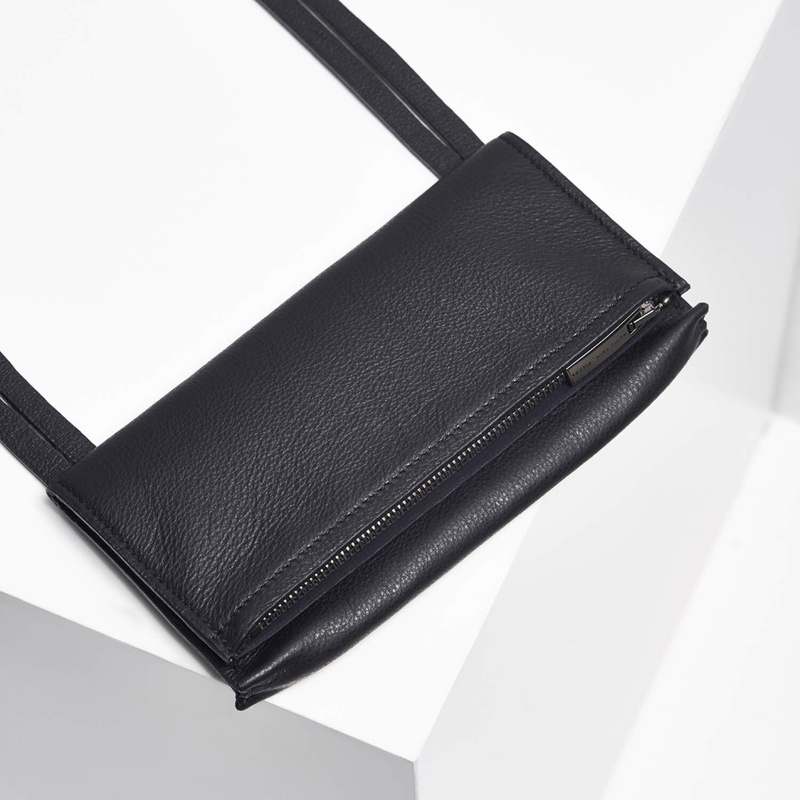 It is as though Marie Saint Pierre dwelled at length on the very definition of handbag in order to rewrite it in her own manner and alleviate her designs from the weight of traditional leatherwork. Thanks to plays on folds and pleats, clutches change shape according to one’s desires. Removable and adjustable straps allow make it possible to hold by hand or hoist over the shoulder. The carrier bags are an exploration of unique and oversized volumes, as if vertical and horizontal lines had been deliberately mixed. Even the pieces set with Swarovski crystals draw to a certain extent from the masculine aesthetic. Nods to the briefcase, the business case, the doctor’s bag? The result is sleek elegance, as suitable for work as it is for evening events. One wants to slip in a passeport and set out in search of adventure. Extending beyond the singular character of each style, the craftsmanship behind every one of them makes the product unique. 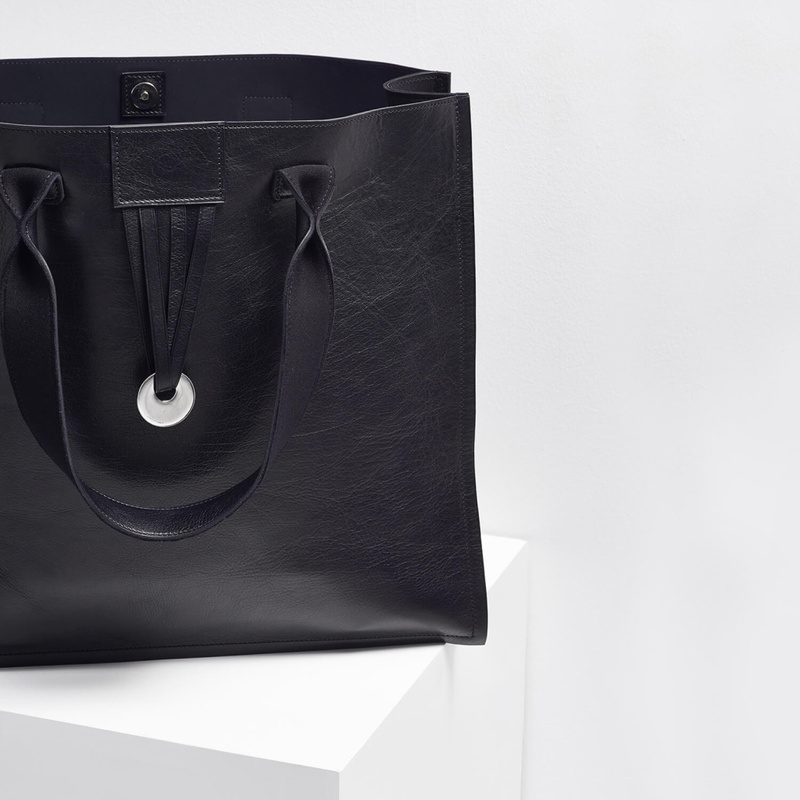 The bags are cut and assembled one by one, in order to take into account the leather’s specificities. Much attention is paid to details, like the painting by hand of the leather, the bonding of the lining, and the threading of bends and edges.